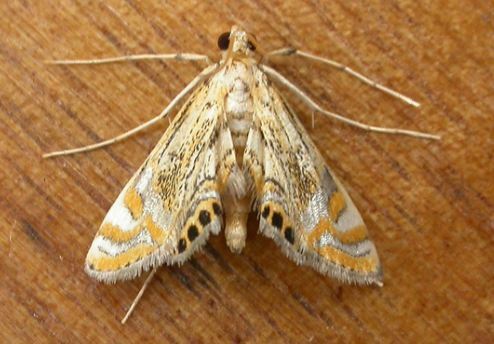 The adult moths of this species have broad patterns of yellow and white on the wings, and an arc of black spots along the margin of each hindwing. The wingspan is about 1.5 cms. Part 17 (1859), p. 451, No. 28.